We offer a wide selection of temperature measurement DAQ and Logging products. Low-cost solutions include the USB-TEMP with thermocouple, RTD and thermistor inputs in one module. 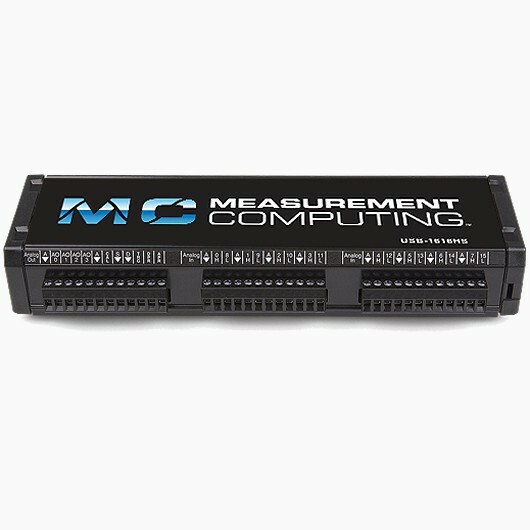 The USB-2416 Series offers highly-accurate 24-bit measurements with addition of digital I/O and analog output capability. The IOtech brand 6222 offers uncompromising performance coupled with expansion flexibility and Ethernet connectivity. Software is included for out of the box measurement capability. Drivers are also included for DASYLab®, NI LabVIEW™, Visual Studio® and more.